Technology is a big part of our day-to-day lives. It seems like new advances are made all the time, and they benefit every facet of our society. Dental technology is no different. Advances made in many different areas allow for shorter, more comfortable, and more accurate dental treatments. Hopefully, such improvements will help patients be more willing to go to the dentist, whether for preventive care or to address severe dental issues. 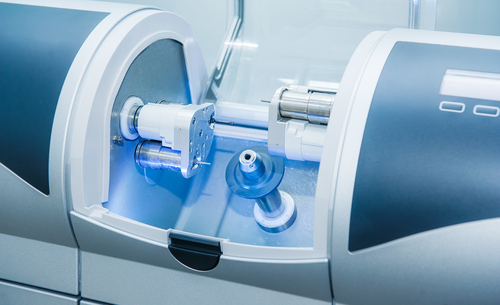 3D printing is one of the newest technologies benefiting dentistry. While new techniques are still being researched, the ability to create better models means that doctors can more accurately diagnose dental issues. There have also been significant advances in 3D printing materials, which means that soon we may be able to 3D print dental implants that are almost identical to natural teeth. Doctors are also now able to create certain types of prosthetics in the office, so long wait times are eliminated. We are also seeing advances in the use of robotics, both in medical practices as well as dental offices. Already, we are able to use robots to help perform delicate surgeries, and oral surgery is no exception. The use of these technologies allows doctors to navigate inside the tight spaces of the mouth more easily. This means more accuracy and less trauma to healthy tissues. Robotics can also assist in preoperative planning, in order to shorten surgery times and make dental procedures more comfortable. Lasers have been used in medical settings for many years now, and laser dentistry is just one of the many areas where lasers can be useful. Certain procedures can now be performed using powerful lasers instead of a drill, reducing the need for anesthesia and shortening treatment times. 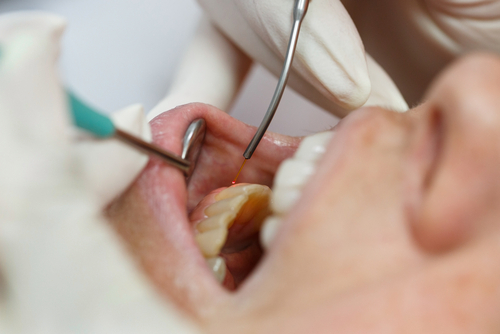 Lasers are also being used for diagnosing dental issues, as they are much more accurate and far less invasive than x-rays or uncomfortable dental impressions trays. You may have seen 3D ultrasound images of your children or the children of people you know. They provide amazingly detailed images when compared to the ultrasound images of yesteryear. But did you know that 3D ultrasound can also be used to diagnose dental issues? The images obtained using ultrasound can give a much better visualization of issues like dental caries (cavities), cracks, and fractures. This makes treating the problems much easier and the use of 3D ultrasounds reduces the exposure to any radiation. No matter what your dental concerns are, there are technological advances being made all the time to treat them. Call us at (310) 273-0111 or fill out our online form today to schedule a consultation. This entry was posted on Monday, April 1st, 2019 at 3:50 pm	and is filed under Uncategorized. You can follow any responses to this entry through the RSS 2.0 feed. Both comments and pings are currently closed.